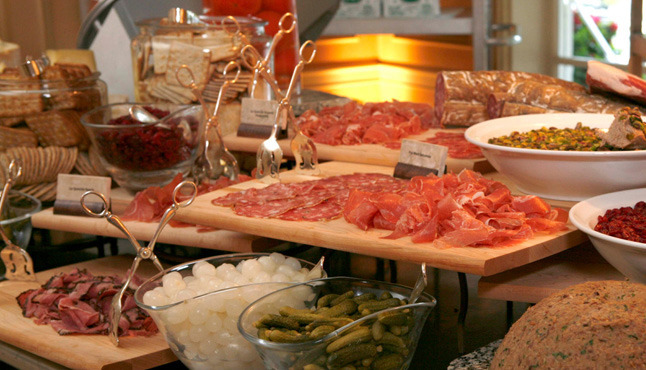 If breakfast is the most important meal of the day, isn’t that reason enough to get serious about weekend brunch? 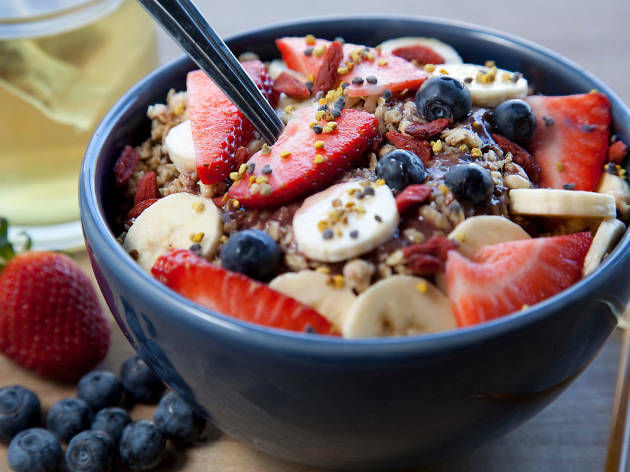 Whether you’re craving a sweet start to your morning with the city’s best pancakes, a savory plate of eggs or a healthy açai bowl, we’ve scoured the best brunch restaurants in Los Angeles. 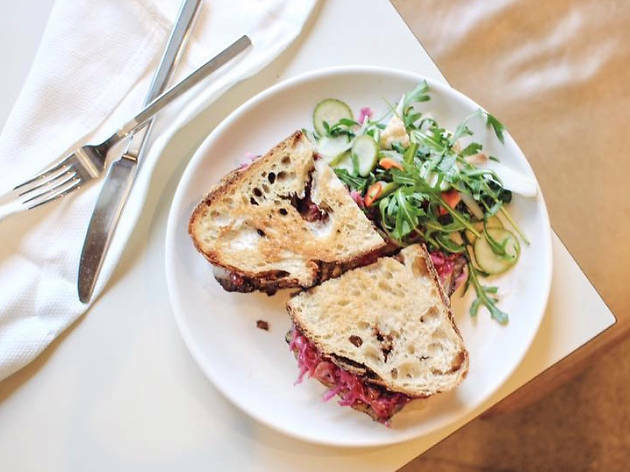 From the Westside to the Eastside and neighborhoods beyond, these are the city’s best eateries for fueling up in the morning. 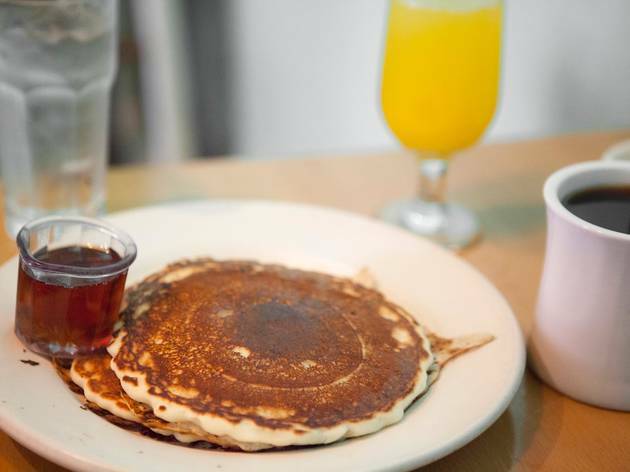 Fighting the brunch crowds at Blu Jam Café at any location—that's DTLA, Brentwood, Sherman Oaks, Hollywood, Tarzana and Woodland Hills—requires a special kind of patience. But between the eggs Benedicts that make your shoulders slump with happiness and crunchy French toast that’s hard to beat, it’s well worth the wait. Fantastic service adds a neighborhood feel to the chain, which opened its Melrose location in 2006. 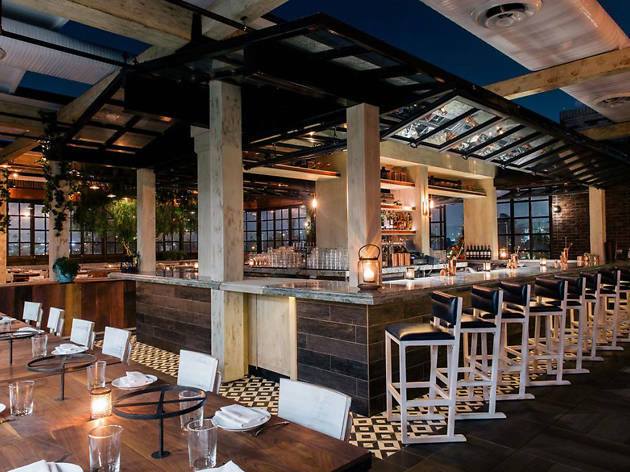 Catch made its way from New York City to a rooftop in West Hollywood, bringing fresh seafood and stunning views to well-dressed Angelenos. 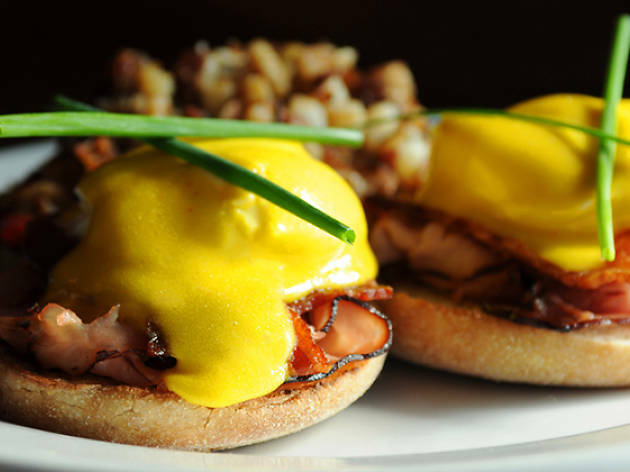 For brunch, the celebrity and sceney hot spot has a raw bar and a brunch menu that includes a gluten-free waffle tower, plus eggs Benedict, omelettes, a farro bowl, lobster rolls and other light and healthy-ish bites. 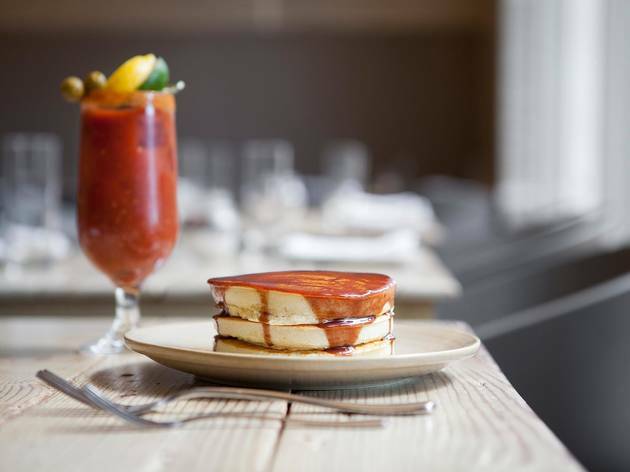 The brunch menu also highlights its iced almond coffee, spicy bloody Marys. cold brew and green juice, for those who want to imbibe on the gorgeous rooftop patio. You might miss Gjusta if you don’t know what you’re looking for. 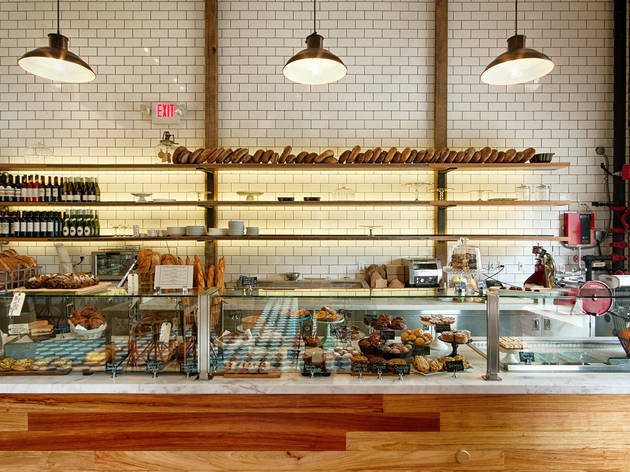 The Venice bakery operates out of a nondescript warehouse; step inside and you’ll find a long, narrow corridor with glass cases of sweet and savory treats on the left, a working bakery behind it. 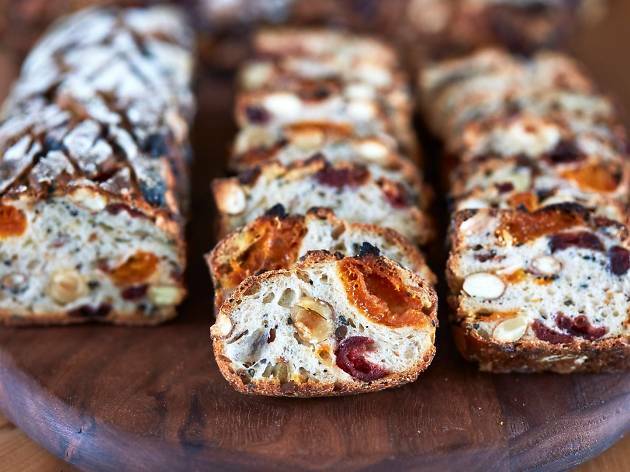 On the sweet side, slices of fruit are folded into sugar-glazed dough for a morning indulgence, but Gjusta serves as a sort of deli, too, where you can pick up cuts of meat and fish to go. Coffee, tea and a few other drinks are offered, but we recommend a refreshing sparkling limeade with mint, to be enjoyed on one of the benches or crates in the courtyard outside—sunshine and laid-back vibes guaranteed. 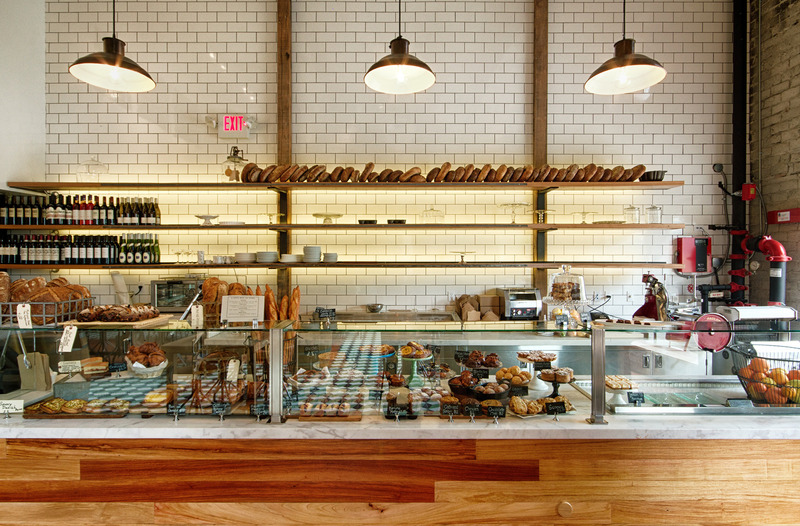 The weekend scene at Huckleberry can be intense, so it’s worth stopping by during the week to give yourself ample time to peruse the daily specials in the pastry case and decide whether you want to pair your tartine with a fruit-studded porridge bowl or something a little more savory, like pesto-y green eggs and ham on an English muffin. If you are in the mood for umami, it’s hard to go wrong with a breakfast sandwich that features the trinity of gruyere, aioli and Niman Ranch bacon, for the record. 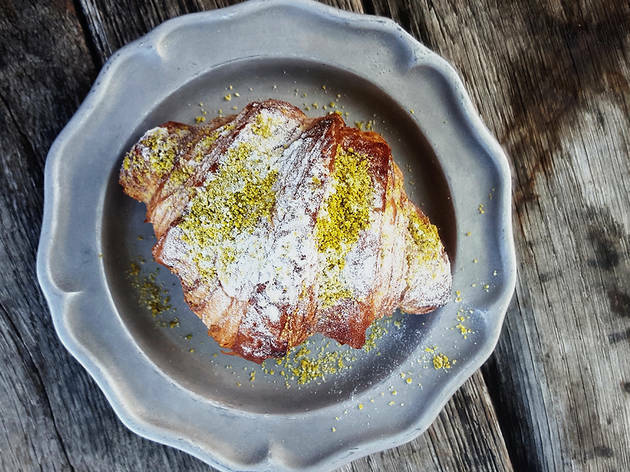 You might’ve heard: We’re a little obsessed with Little Prince’s off-menu, wood-fired cinnamon rolls, but that’s not all Ari Taymor’s got up his sleeve during brunch service. 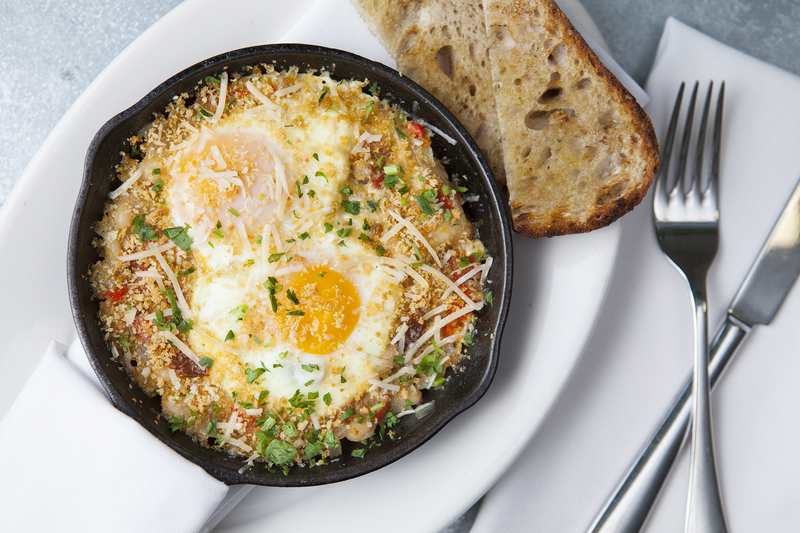 On weekends, fashionable crowds pile into the Contemporary American restaurant for green chia pudding; Anson Mills grits topped with eggs, falling-apart brisket and salsa verde; avocado toast with curried tomato jam; and the salmon hash with seaweed hollandaise—each dish clearly a creation of Taymor’s, but distinct and surprising. Oh, and the patty melt is one of the best on the Westside. Aussies certainly love their “brekkie,” and thanks to the surge in opening their cafés here, so does L.A. 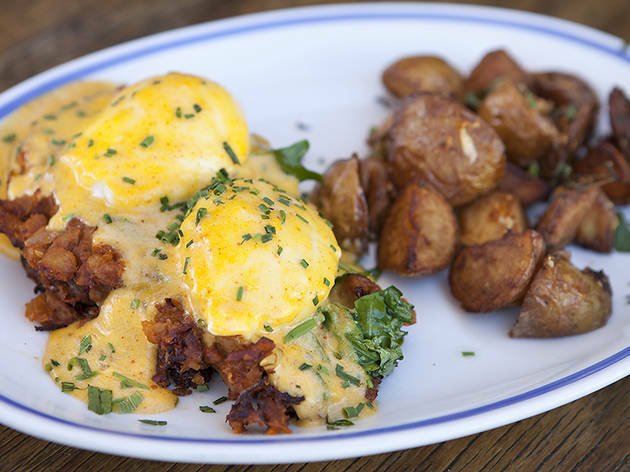 The meal, which should be versatile enough to grab at any point of the day—so, brunch, essentially—is especially big at Little Ruby, the cute-cozy SaMo spot that’s only a block or from the beach. Drop by before 4pm for stellar sweet corn fritters, a full Ausie breakfast (baked beans and roasted tomatoes included), coffee granola, ricotta hotcakes, salads and burgers, plus a full espresso bar and a line of fresh-pressed juice concoctions to enjoy in the sunshine. G’day, indeed. 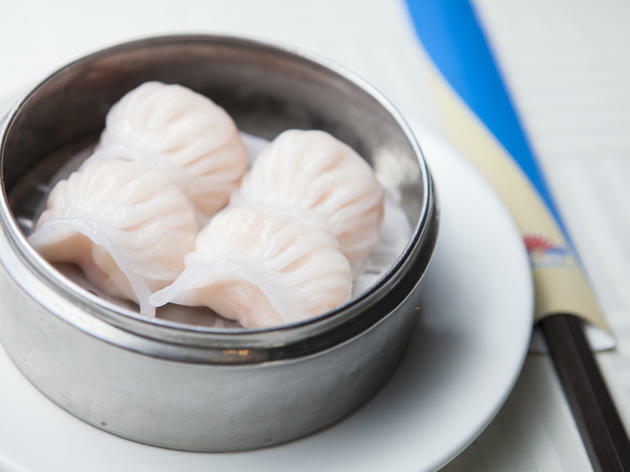 There’s never a bad time to stop by Charles Olalia’s modern-Filipino mainstay, but at brunch, the place is electric. 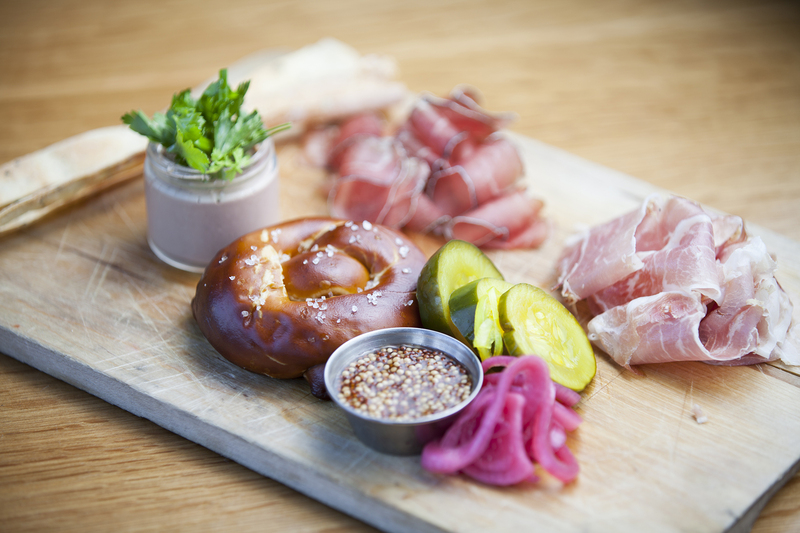 The vibe matches the food, which is vibrant and fun and perfect for sharing. You can still nab some of the evening’s most popular items (uni-topped lumpia: never forget), plus a handful of morning-only plates like Pinipig granola with salted coconut cream, and the little-bit-of-everything combo plate with rice porridge, fried eggs, salad or garlic fried rice and house-made longganisa, tocino or fried anchovies. Decisions, decisions. 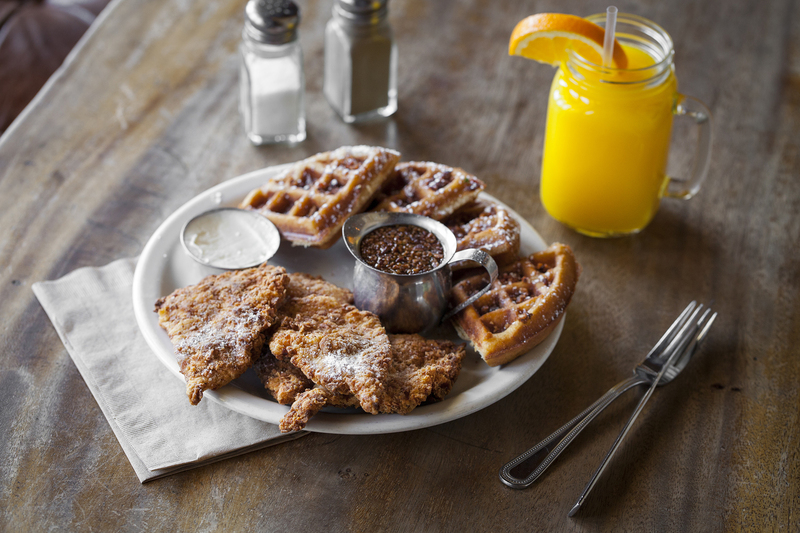 Just steps from the beach, brunching at Manhattan Beach Post has become a South Bay right of passage. 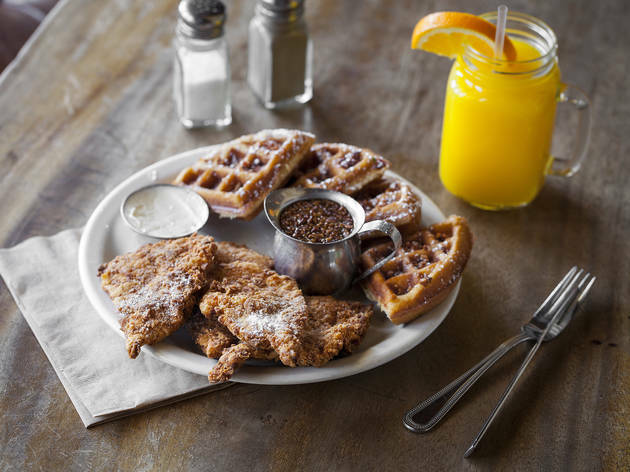 On weekend mornings, diners delve into ricotta-stuffed French toast and truffle-honey–laced fried chicken; during the week, couples gaze at each other over family-style servings of squid ink tagliatelle and duck prosciutto. 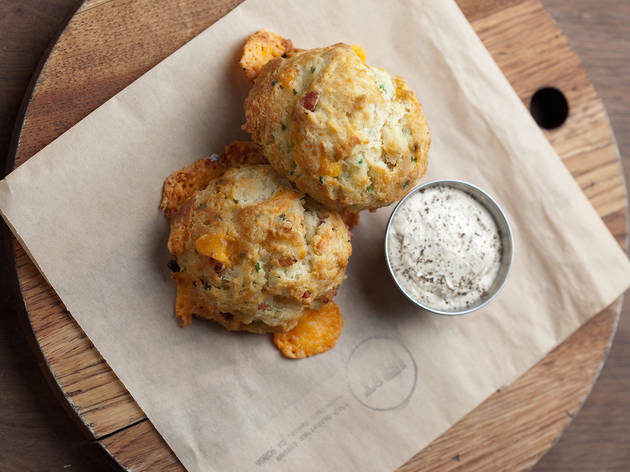 Even MB Post’s biscuits are practically legendary: bacon-and-cheddar buttermilk beauties, served with a side of whipped maple butter. An extensive wine list, along with beer and handcrafted cocktails, ensures that this spot in the bubble is all you really need. 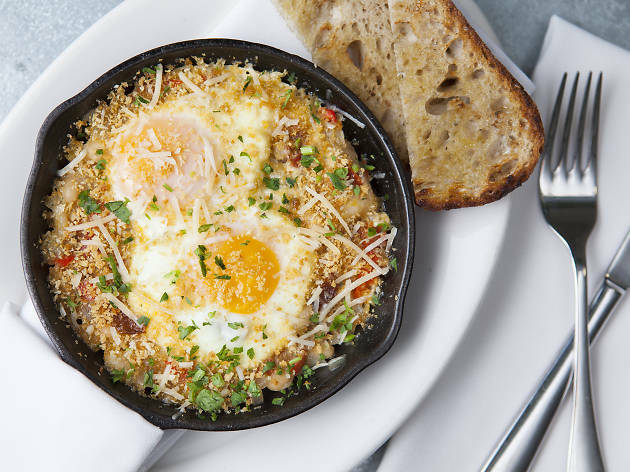 Josef Centeno has more than cornered the great-food market on a few corners in DTLA, but it’s in the tasting-menu hub of his restaurant empire that serves the best brunch. 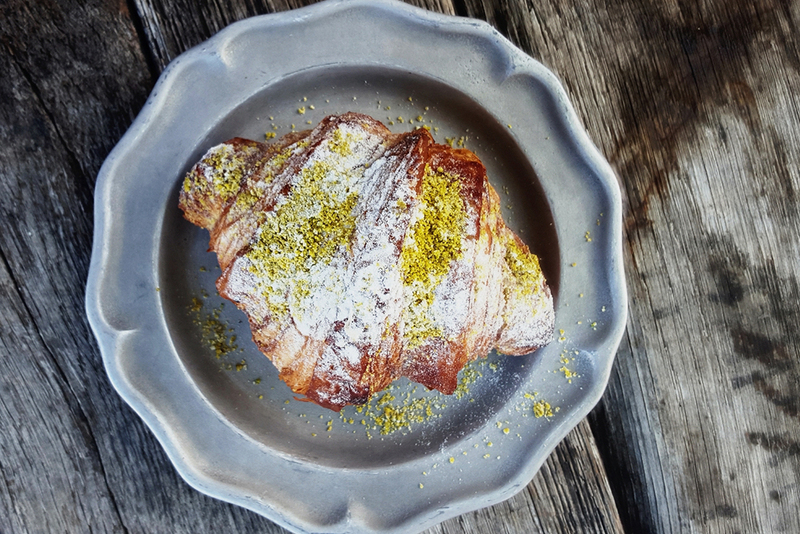 Duck into Orsa & Winston for yuzu-cream croissants and a rotating selection of other freshly-baked pastries, which you should always start with. (Sorry, we don’t make the rules.) 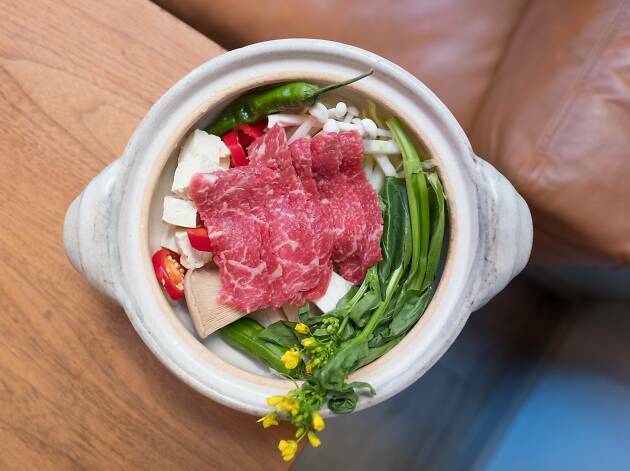 Then, dig into an omakase Japanese breakfast plate; toasted oats with cherry-blossom yogurt; grain pancakes; and the rich, soothing donabe for two, full of steaming-hot dashi broth you dip slices of wagyu and market vegetables into at your leisure. Don’t forget the silky-smooth green barley porridge bowl, nor the handful of katsu sandwiches. Basically, order everything. 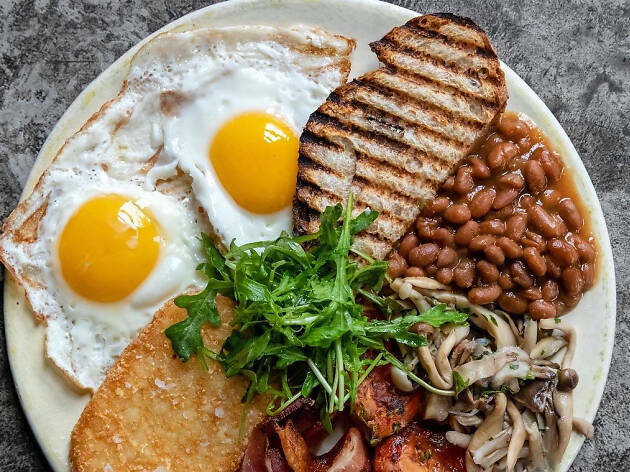 This Culver City diner—also known as Overland Café—is the go-to spot for boozy brunching at its finest. The $8.99 bottomless champagne special keeps the casual eatery packed with low-key locals, though the noise level definitely ratchets up as the glasses are emptied, making it feel like a neighborhood bar on game day. (Pro tip: Supplement the special with $7 carafes of orange juice to make your own mimosas.) 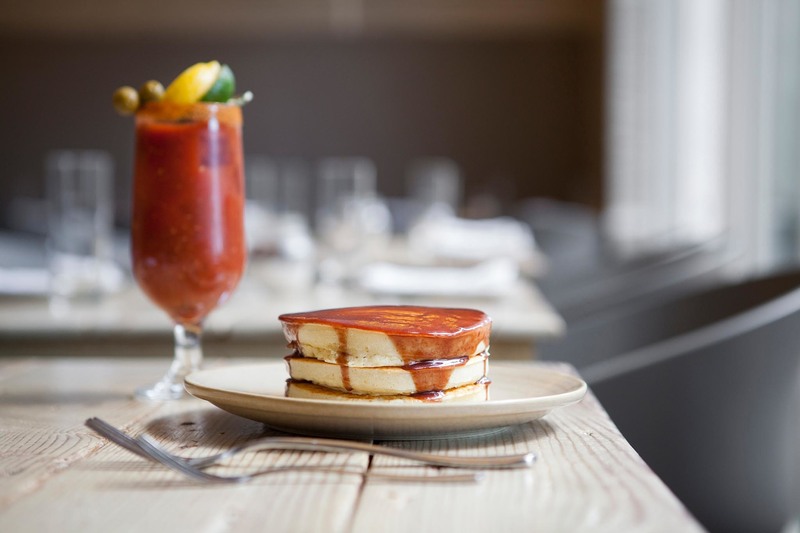 An array of Benedicts and especially the Huevos Divorciados—a spin on huevos rancheros, with two different sauces—are all worth a try, along with those so-fluffy pancakes with fruit, nuts or chocolate. Who doesn’t like a little history with their brunch? Built in 1929, the building first served as Charlie Chaplin’s office, then the birthplace of L.A.’s beloved Campanile and, after Campanile shuttered, La Brea Bakery. As République, it’s thriving as a chic dining experience. 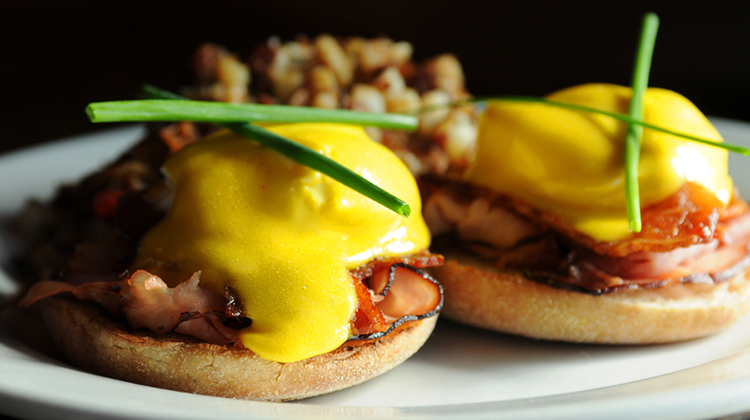 Its weekend brunch menu (served til 3pm) includes fresh juice, Belgian waffles, Maine-lobster omelettes, brioche French toast, chorizo sopes and caviar bagels. If you’re on the go, we suggest picking up a chocolate banana croissant from the bakery counter. Rose Café serves a bruncher’s brunch: The broad menu is packed with both exciting and accessible eats for anyone looking to dig the heck in, whether they’re in the mood for hearth-roasted brioche French toast, house-baked pastries, a raw bar, fresh-from-the-oven pizza, one of the city’s most addictive kale salads, handmade pasta, classic egg dishes or tartines and, of course, the full coffee bar. 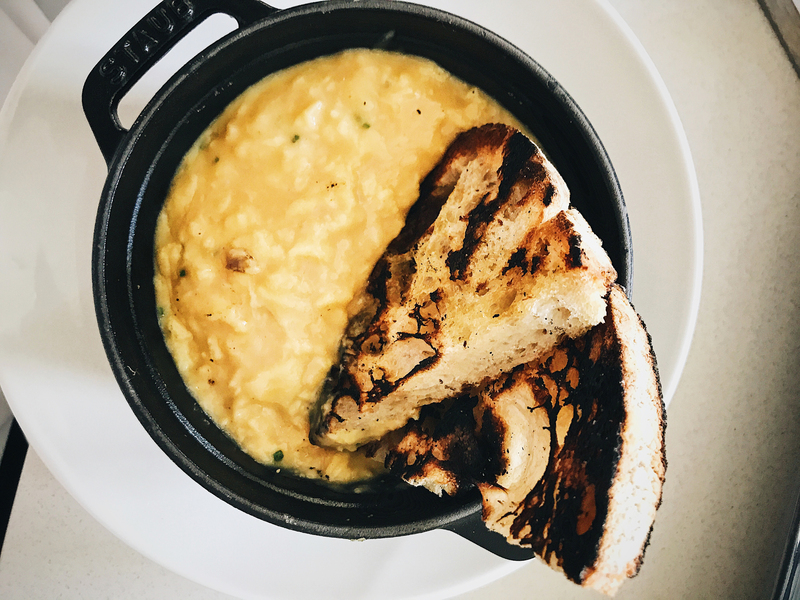 Jason Neroni’s California-inspired spot keeps Venice humming and full, and keeps tables turning—the large, sunny restaurant is almost always packed. 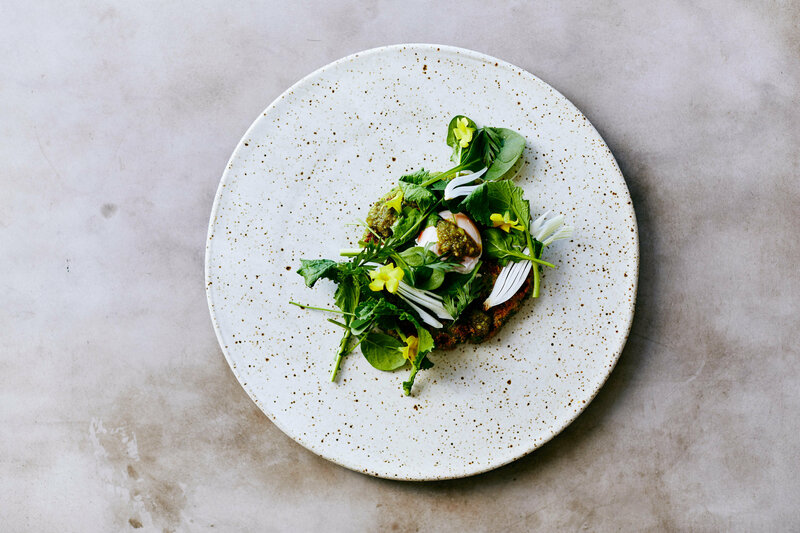 The idea behind Salt’s Cure is a noble one: Every meal is made from ingredients grown and raised in California, all of which are carefully butchered and crafted in-house. Black kale, mashed potatoes, grilled corn—you almost expect to see a farm truck parked out front. 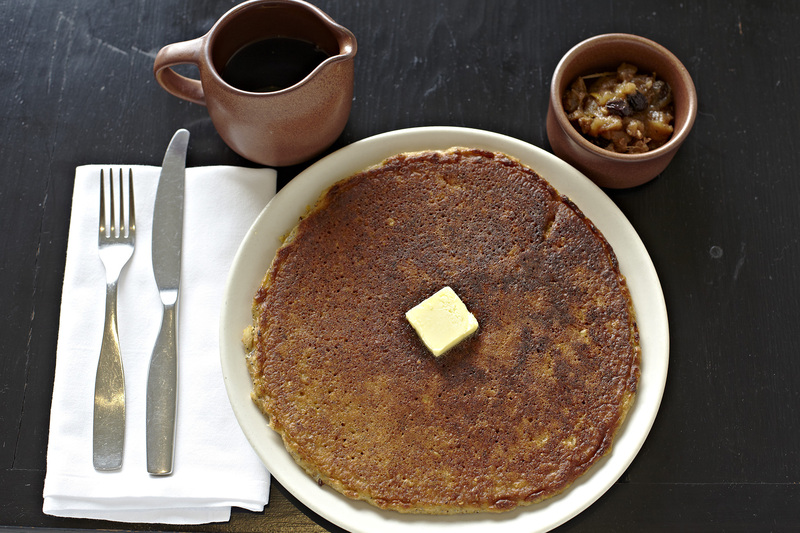 At the hearty-leaning brunch, an order of oatmeal griddle cakes with cinnamon molasses butter will make everything right in the world, while the biscuits with sausage gravy and eggs will make you feel fortified enough to work on a farm (but you won't have to). 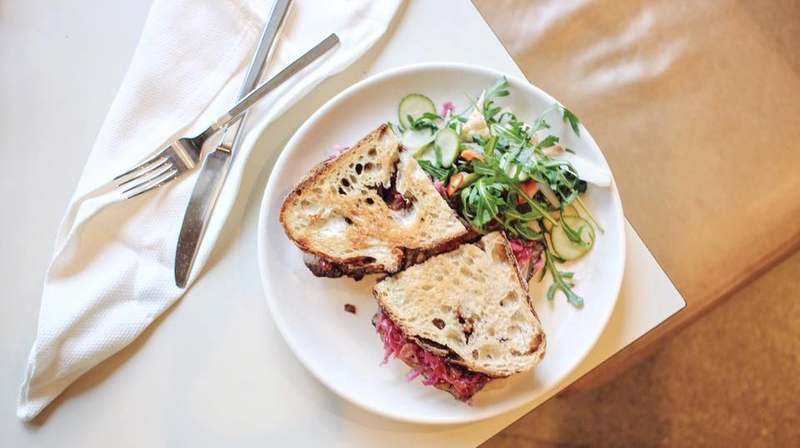 What started as a preserves company is now one of L.A.’s most coveted eateries: Sqirl, a small nook of a restaurant that serves breakfast and lunch made with farm-fresh ingredients. 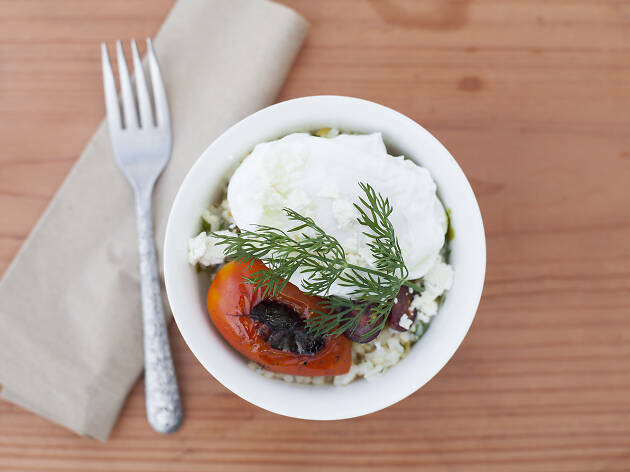 Jessica Koslow is still churning out jams, but now you can get it spread on thick cuts of brioche toast with Sqirl’s house ricotta. 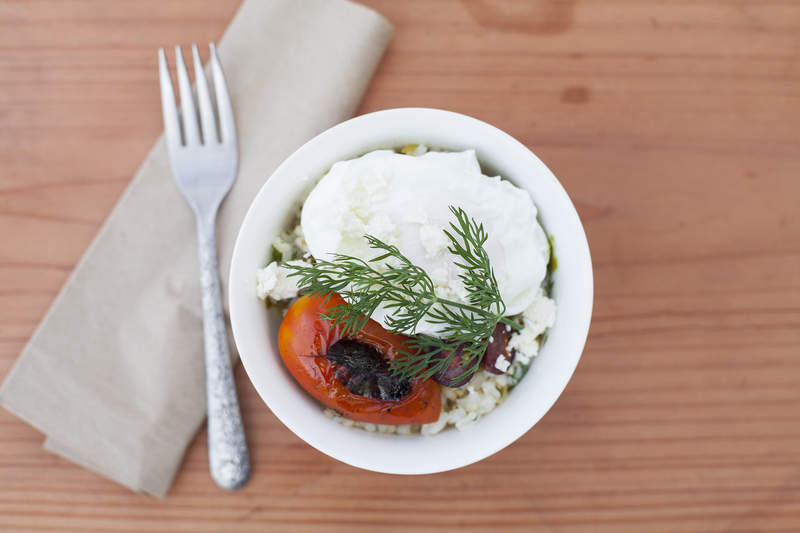 If you’re not ordering toast here, though, you’re probably ordering one of the rice bowls, filled to the brim with the best ingredients L.A. has to offer: sorrel pesto and radishes, feta and a poached egg, scallions and cilantro and house sausage and house hot sauce. The only downside? Everyone loves it here, and Sqirl has a monstrous line to show for it at most hours of the day. Our advice? Get there early. 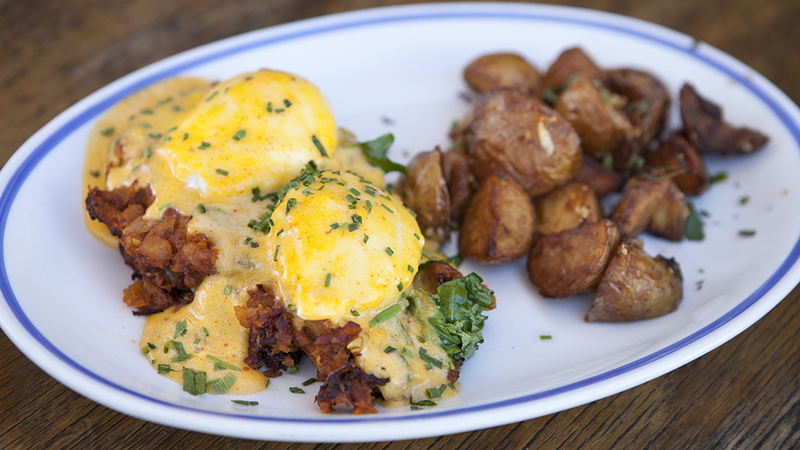 Leave it to L.A.’s most well-known culinary trifecta to crush the brunch game. 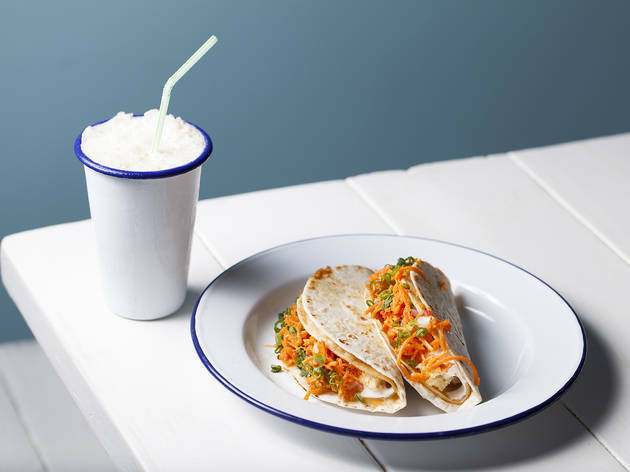 Ludo Lefebvre, Jon Shook and Vinny Dotolo’s French-Mexican cafe serves killer cross-cultural creations—and a cold-brew horchata that’ll get you up and running, no matter what you were up to the night before. 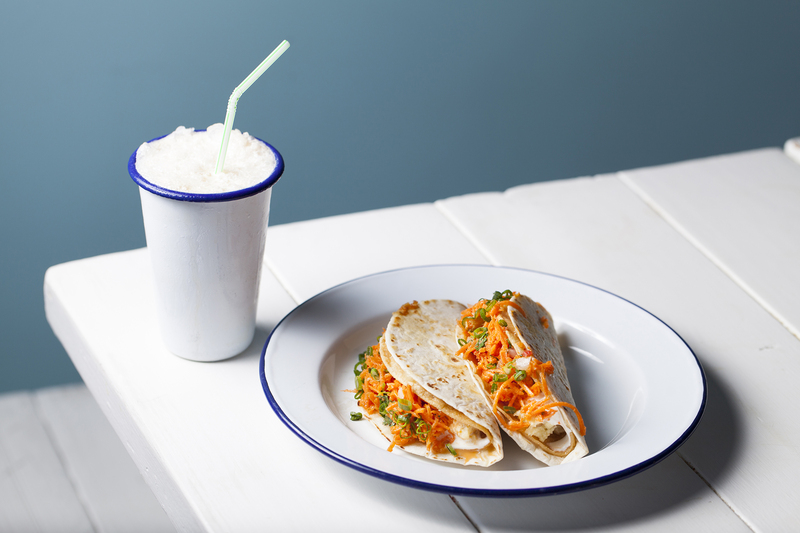 The double decker potato taco—stuffed with crispy potatoes, lime, crème fraîche, carrot pico and cheese—has fast become one of the city’s most iconic brunch dishes, but you’d be missing out if you skipped the omelette (and we all know Ludo works magic with an omelette). 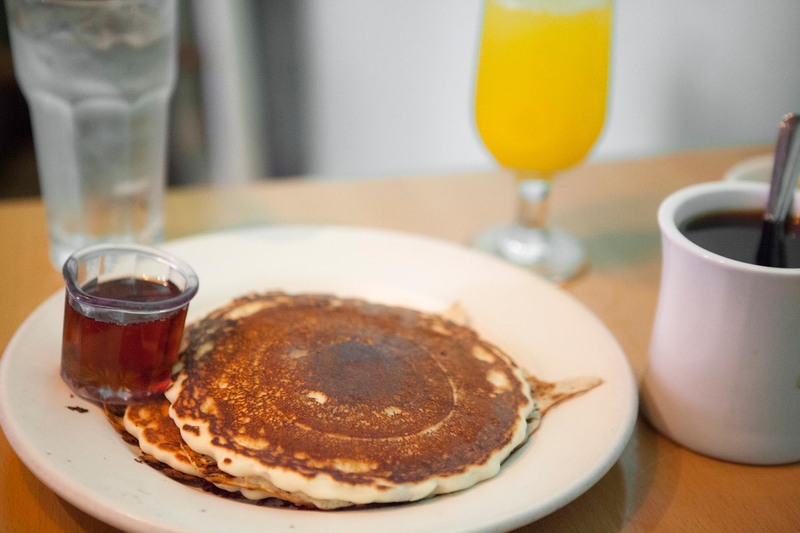 Located at the base of the Elysian in Echo Park is Winsome, a nouveau-diner homage to the flavors of Southern California. 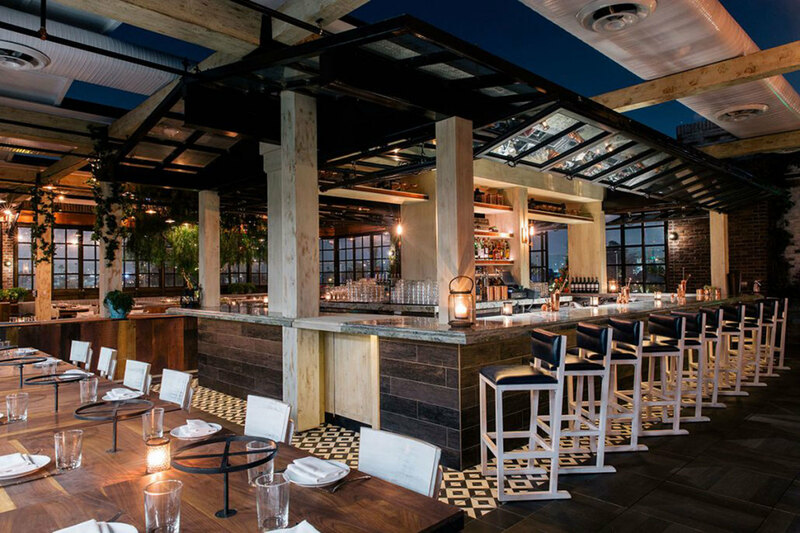 Plunk yourself into a booth, at the long counter or outdoors at either a communal or private table surrounded by greenery, and enjoy the menu of some serious Los Angeles-inspired fare. 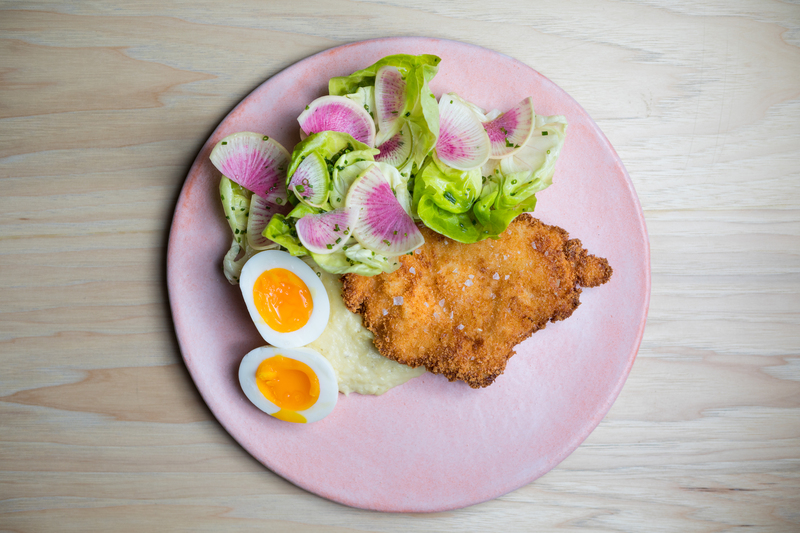 For brunch fare, expect unique items such as duck-egg toast, buckwheat-and-semolina pancakes, and potato rosti topped with sunny egg—and if you're in the mood for more of a lunch option, they've got that too: The fried chicken sandwich is one of our faves in the city. 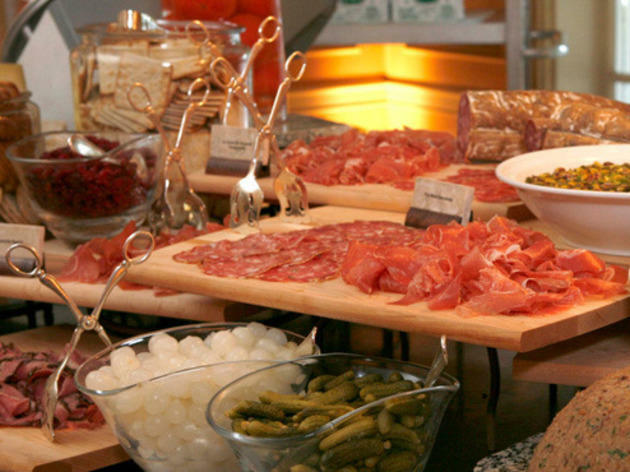 More brunch options in L.A. 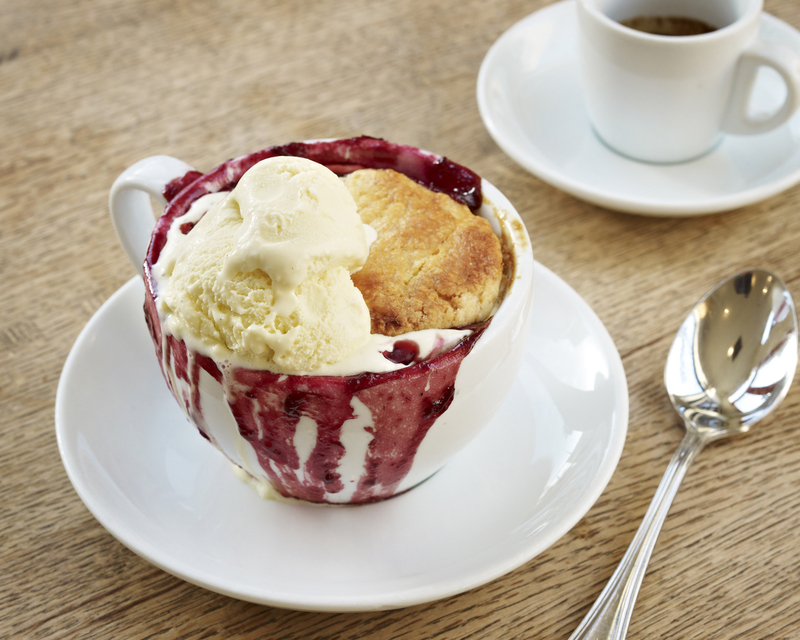 Grab your wetnaps and dig in! 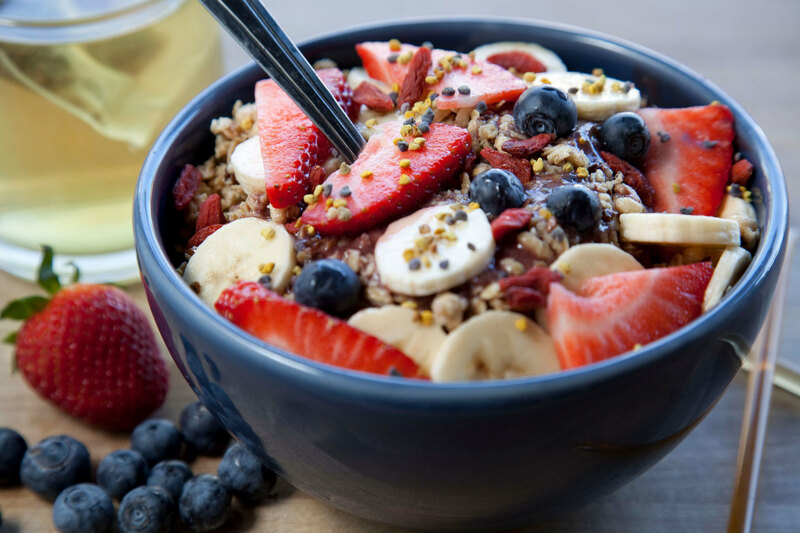 Here's where to find the best açai bowls in LA. 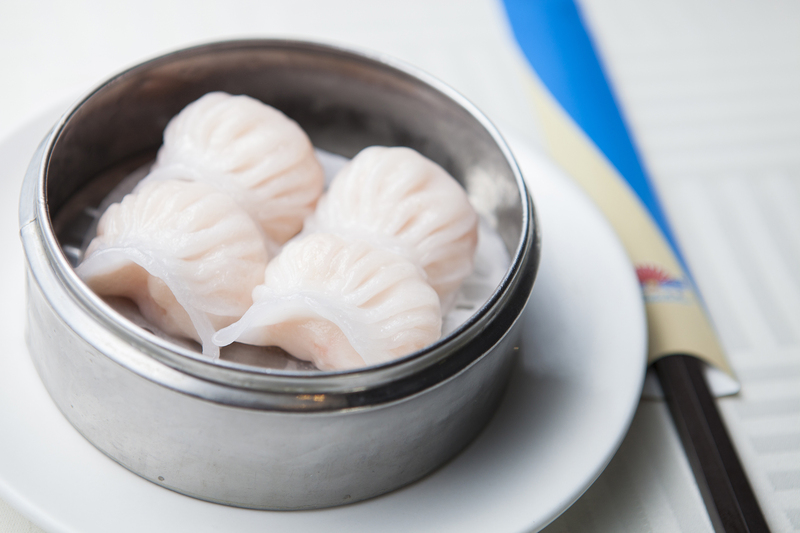 Where to find delicious dumplings, buns and pastries both fried and steamed. 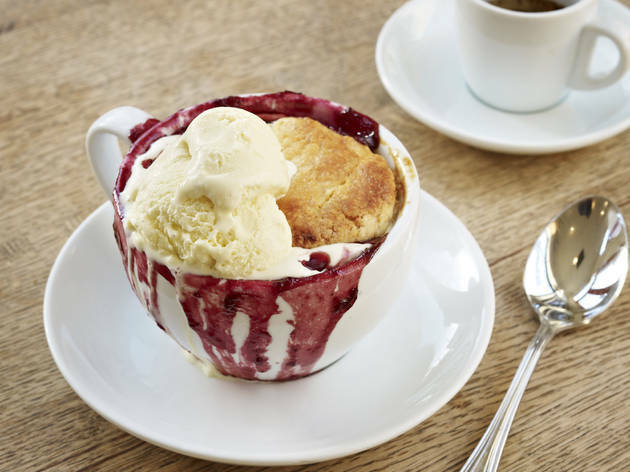 Drink your breakfast this weekend. 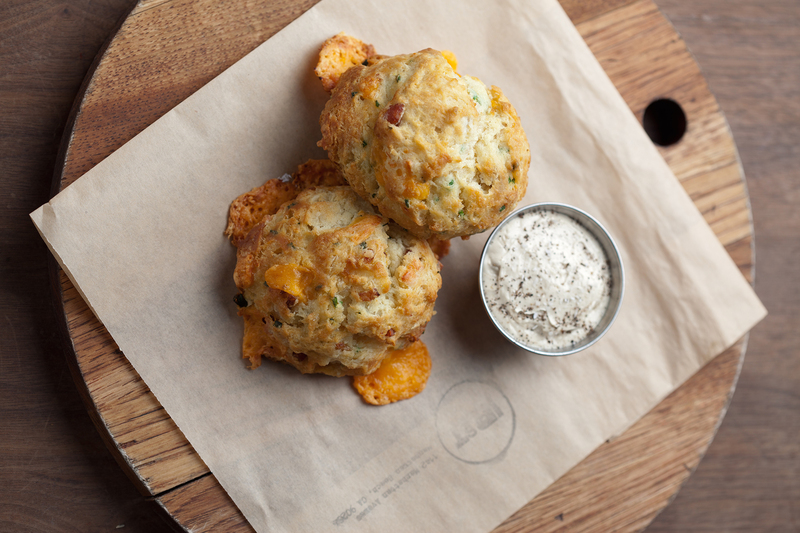 Here's to a savory morning! 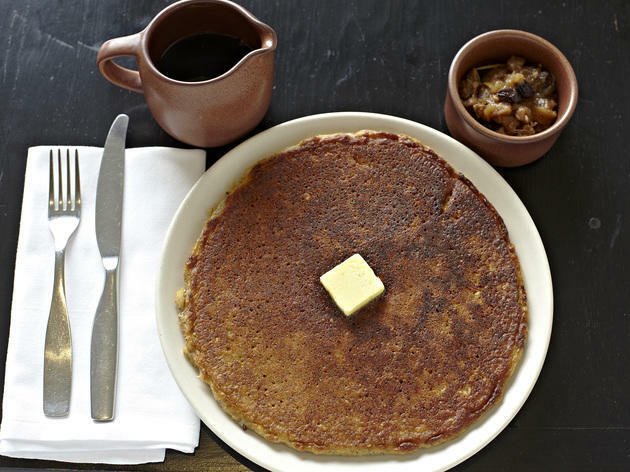 Head to these hotels for the biggest spread of morning classics.